As our journey begins, we follow Sandra in her professional life. After a routine cancer screening, Sandra receives some worrying results and is thrust into a period of medical uncertainty. Thus, we begin two journeys with Sandra: the private and the public. But Sandra is not the only one who is on a journey the chemicals against which she is fighting are also on the move. We follow these invisible toxins as they migrate to some of the most beautiful places in North America. We see how these chemicals enter our bodies and how, once inside, scientists believe they may be working to cause cancer. At once Sandra's personal journey and her scientific exploration, Living Downstream is a powerful reminder of the intimate connection between the health of our bodies and the health of our air, land and water. Living Downstream is produced by The Peoples Picture Company, with the support of: The Ceres Trust, Kendeda Sustainability Fund of the Tides Foundation, The Canadian Independent Film and Video Fund, Canada Council for the Arts, Park Foundation, Canadian Auto Workers Social Justice Fund, The Cancer Prevention Challenge (Ya Ya Sistahs & Bruddahs Too! and Team Vitality), Doris Cadoux & Hal Schwartz, and the Saunders-Matthey Cancer Prevention Coalition. 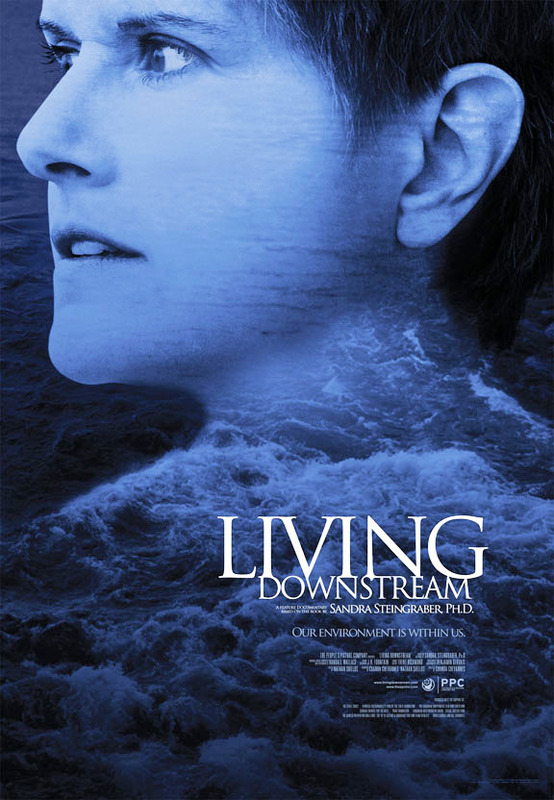 Living Downstream is currently available for film festival and theatrical screenings. Please contact us if you are interested in screening the film in your community.